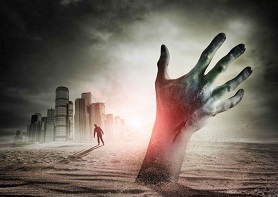 Following up on his August 31st report "Something Just Happened" report, Bill Holter from JS MineSet joins SGT Report in a hard hitting interview to which Holter asserts "We're going to have an absolute Biblical collapse of our standard of living, and no one even has a clue that it's coming." In Holter's initial report (reprint) he clarified an inaccuracy over Shanghai deliveries but states that he stands by the rest of the report, where "Something changed three weeks ago and a series of events began," starting with China announcing 600 additional tons of gold, followed by the IMF rebuff of China, the three yuan devaluations and three “coincidental” explosions. Holter also questioned some very odd events happening in the precious metal markets. The whole article should be read in its entirety over at JS MineSet before listening to the interview below. 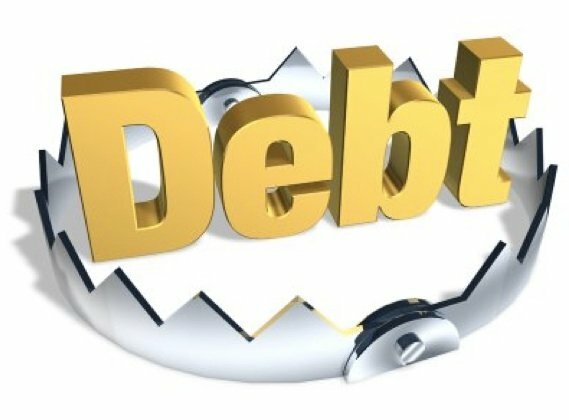 In this interview Holter explains why he thinks a major dollar collapse is on the horizon with the events discussed in the linked article above leading to a cascading collapse in global markets as he exapns on the strange happenings in the metal markets, as he warns the leverage in all markets suggests a “holiday” will occur because the unwinding cannot be orderly. The “unwinding” by the way will need to undue the credit built upon credit going all the way back to Aug. 15, 1971. In looking at subsequent events after this interview was conducted, including the Pentagon recently warning that 5 Chinese war ships were seen off of the coast of Alaska and a very late notice from the Department of Defense informing us the ADS-B Surveillance and TCAS operations over Virginia , North and South Carolina, Georgia and Florida might become 'unreliable' as of 1 a.m. September 2nd (detailed in the ANP article titled "Last Minute East Coast Military Drills Send Out September Alarm As China Warships Seen Off Coast Of Alaska - Something Very Strange Is Going On! "), we see more events that seems to show that very strange things are happening, all at once, and it would be a mistake to think they were all unrelated to the global events Holter speaks of. 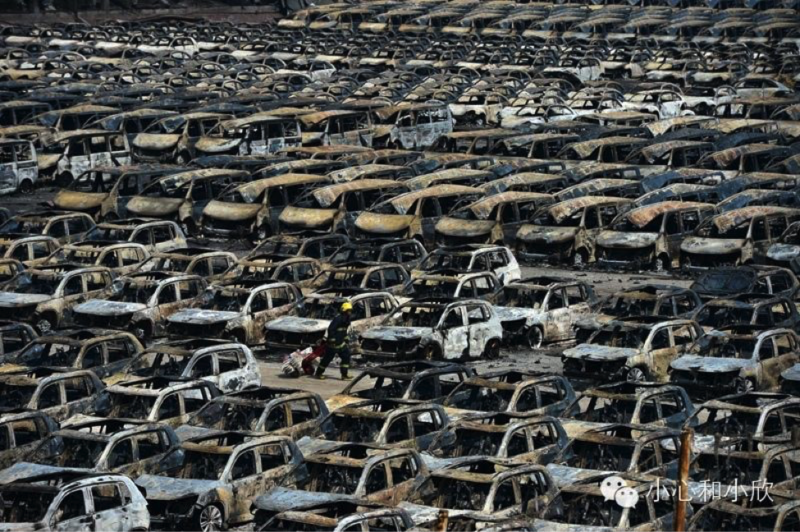 This all takes place just ten days after the apocalyptic explosion at Tianjin China, which many people believe was instigated by the Pentagon in response to China's currency devaluation announced one day earlier. Shortly after this event took place, Natural News exclusively reported the "bombshell" news that China and the United States were engaged in a covert war. Now, as more and more of these events begin lining up, it's becoming increasingly obvious to everyone that these explosions are not mere coincidence. They are, in fact, deliberate acts of war between China and the United States. An important article to read on all this is Dave Hodges' piece The Chinese Plan to Occupy America. 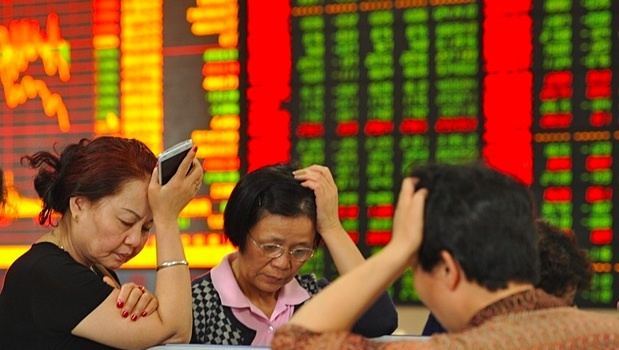 August 11, 2015: China devalues the Yuan by 1.9%, sending "shockwaves" around the world and setting off a devastating impact to the U.S. economy. 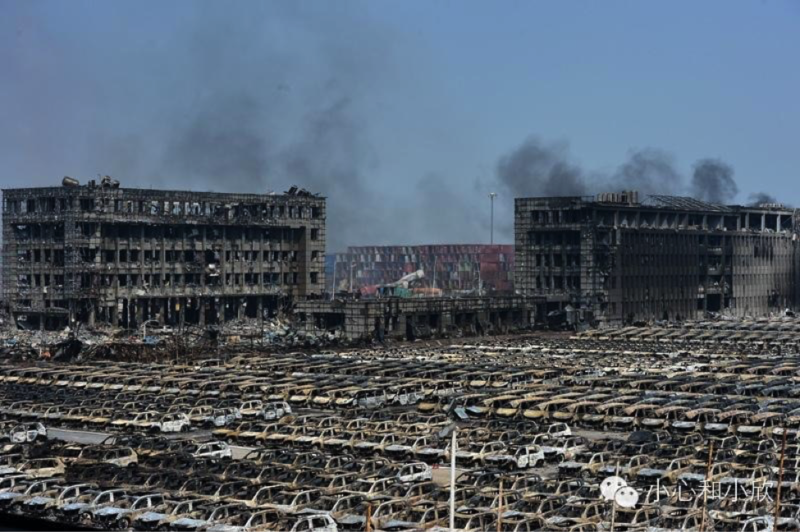 August 12, 2015: Tianjin is reportedly struck by Pentagon's secret "Rod of God" weapon, a space-based top-secret kinetic weapon that can be dropped from high orbit to strike almost any land-based target. The weapon instantly destroys six city blocks on the edge of the city of Tianjin, sending a message to China that's eerily similar to the message sent by the United States in the dropping of the world's first atomic weapons on Hiroshima and Nagasaki in World War II. August 17, 2015: Natural News publishes bombshell story and exclusive photos of military helicopters circling Beijing, along with warnings that China is on the verge of declaring "regional martial law" because of escalating war tensions with both the United States and Japan. I also wrote about China's upcoming Sep. 3rd celebration of the "defeat of Japan" in World War II, exactly 70 years ago. 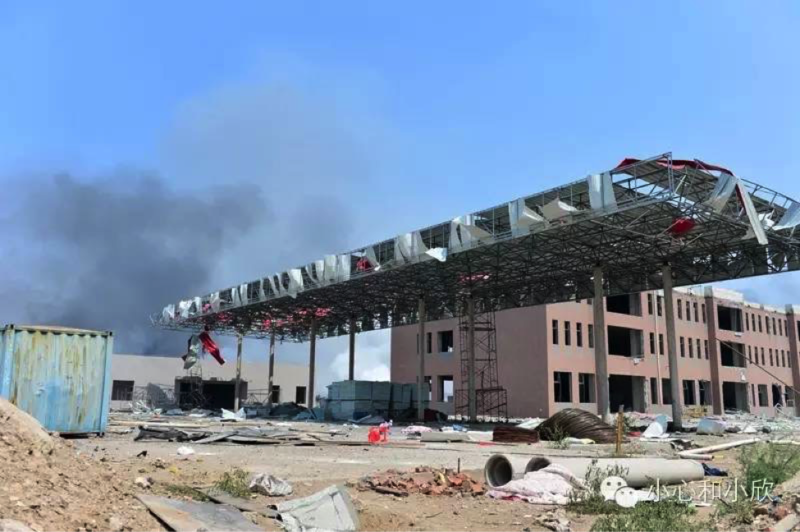 August 22, 2015, early morning U.S. time: Another massive explosion rocks China's manufacturing heartland, in the Shandong province, obliterating another large industrial storage center. 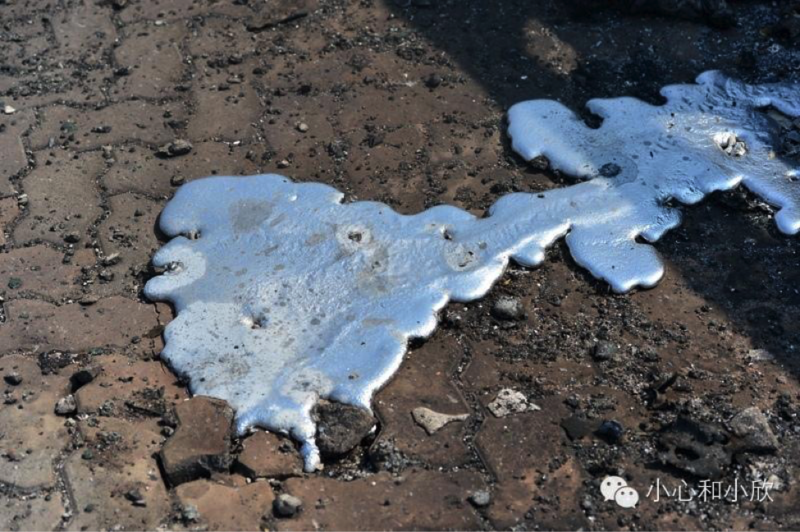 The cause of the explosion, once again, is utterly unknown to the authorities. August 22, 2015, later in the day U.S. time: A massive explosion rips through a U.S. Army munitions storage facility near Tokyo, obliterating it. "... the base is used to house military families" reports The Mirror UK. Front #3) Sabotage and kinetic warfare. This is what we have just seen at the U.S. Army base near Tokyo. Watch for more sabotage attacks, explosions and kinetic "coincidences" to occur throughout the remainder of 2015. America is already at war with China, you see, and the escalation of this war is now evident. Watch for wild swings in equities and currencies this coming week in the U.S. stock market, and know that China is the financial force behind much of the turmoil we are experiencing. 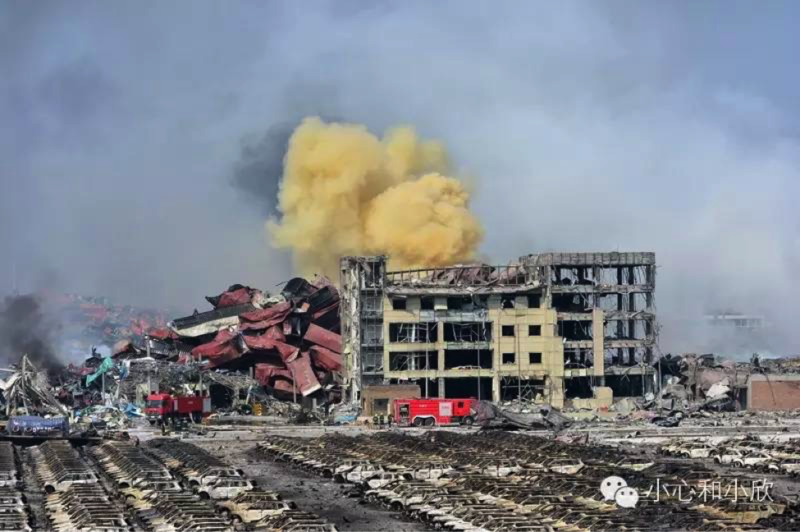 Threat Of Nuclear War Intensifies After Ukraine Erupts In All Out War - Horrifying Banned Pictures Emerge From Massive Explosion At China's Ground Zero! After reading the new story from the InvestmentWatchBlog headlined "BREAKING--NOW! Ukraine Erupts Into All-Out War!" in which we learned multiple cities have come under attack with hundreds dead and cities burning after the French/German brokered 'Minsk Agreement' failed, we clearly see why US military analyst Stephen Lendman is warning that the threat of nuclear war with Russia has just increased immensely. Ukraine is just the latest country to suffer mass casualties as amazing new pictures have emerged out of China seen here from a daring reporter who got as close to 'ground zero' as he possibly could. 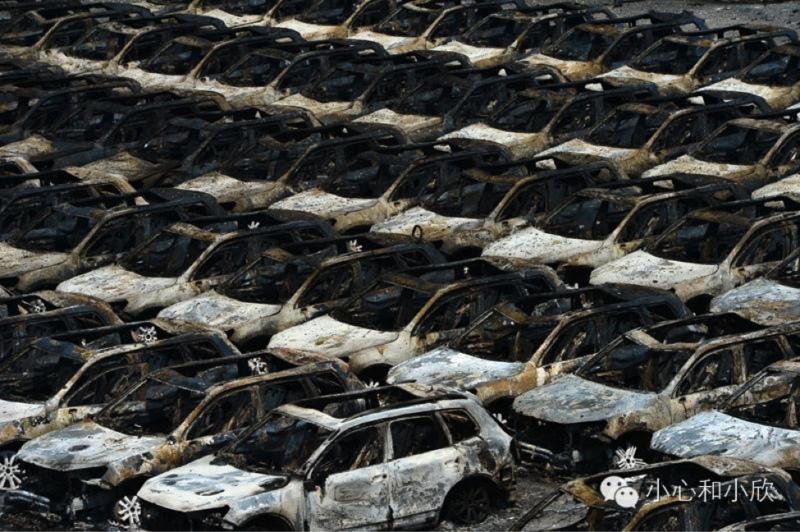 Describing these photographs here as like a 'scene from a movie', we see cars melted and completely destroyed. 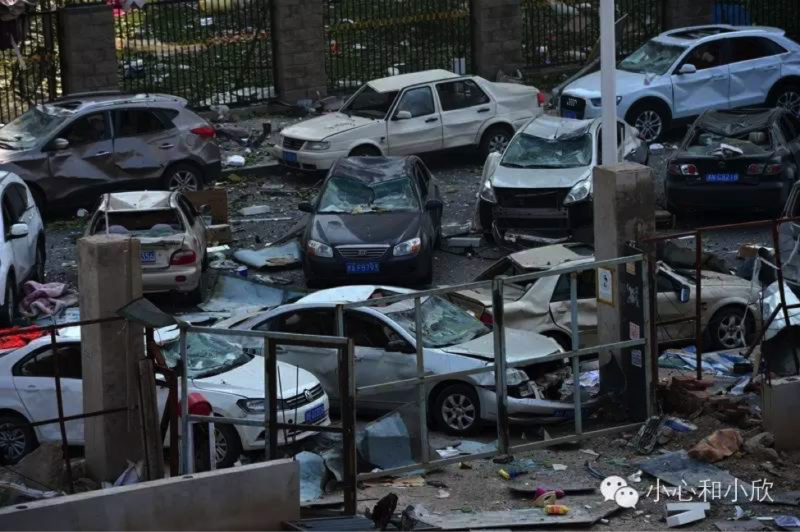 Propaganda officials in China have since banned media from reporting on the explosion or posting pictures/stories that did not originate from Xinhua. Why? Many more photographs at the bottom of this story. We can see Ukrainian hostilities taking place in the 2nd and 3rd videos below which show Donetsk being shelled and we're told that there are attacks everywhere: Donetsk, Starobesheve, Bezimenne, Komsomolske, Horlivka, Tel’manovo, Staroihnativka, Avdiivka, Makiivka and Yakovlivka. In the 1st video, we learn why the threat of nuclear war with Russia has just intensified greatly and why the road to utter devastation may now be unavoidable. 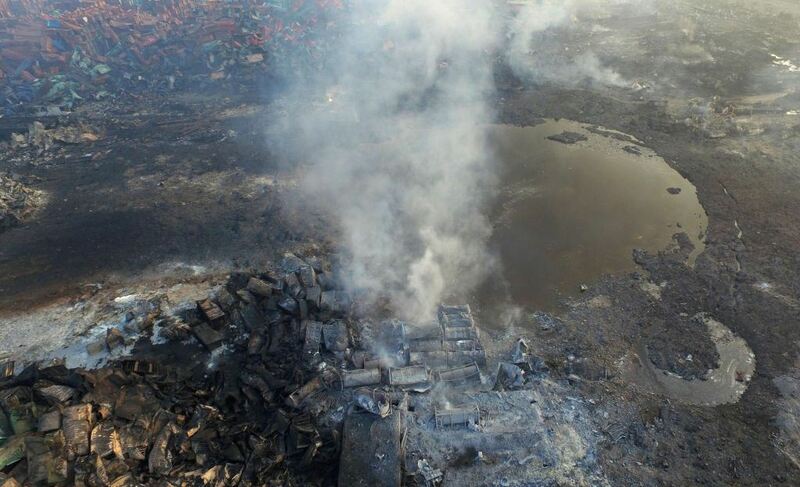 The 4th & 5th videos show the massive explosion in China that caused this. Back on August 11th ANP published a story in which we asked if Americans would be ready if China and Russia were to suddenly attack. In it we shared a warning from former Fox News producer Jack Hanick that "if new hostilities start, Russia will not let the war be a proxy war where the US supplies weapons and advisors and lets others do the 'boots on the ground' combat. 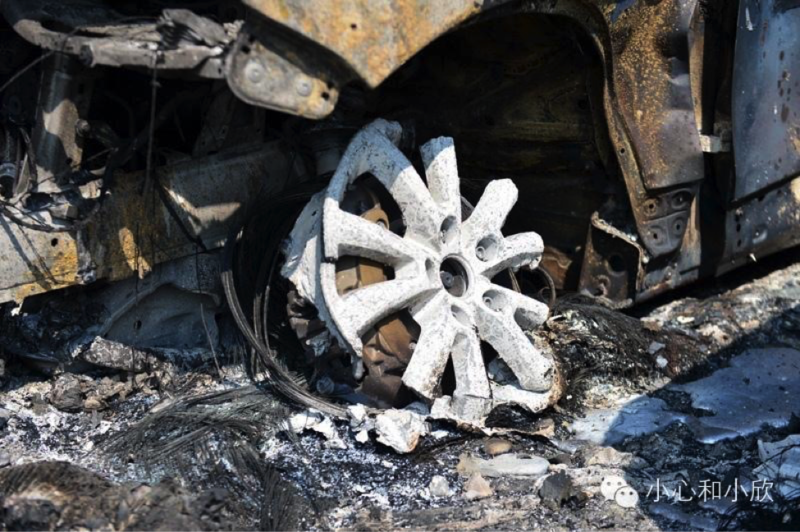 Russia will take the war to the U.S."
With 'new hostilities' having suddenly broken out in the Ukraine as seen in the videos below, soon after China was hit by the mysterious explosion which left cars completely toasted and mysterious melted silver liquid on the ground as seen in the horrifying pictures of devastation in this story, we have to ask how long it will be until 'war comes home' and if war here in America, on our home turf, is the reason for all of the massive military movements that we have seen across the country recently? 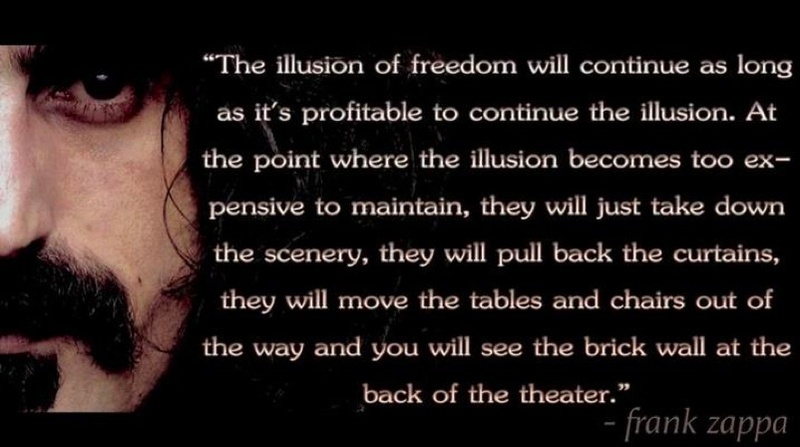 All warfare is based on deception. Hence, when able to attack, we must seem unable; when using our forces, we must seem inactive; when we are near, we must make the enemy believe we are far away, we must make him believe we are near. Hold baits to entice the enemy. Feign disorder, and crush him. If he is secure at all points, be prepared for him. If he is superior in strength, evade him. If your opponent is of choleric temper, seek to irritate him. Pretend to be weak, that he may grow arrogant. If he is taking his ease, give him no rest. If his forces are united, separate them. Attack him where he is unprepared, appear where you are not expected. 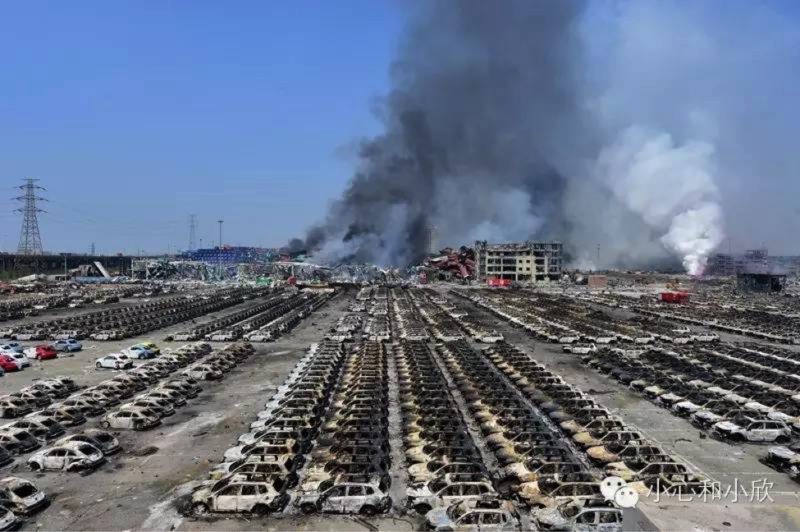 With new fires and new explosions still rocking China's Tianjin, we also learn that accusations of a government coverup have been levied and the blast zone has been completely evacuated due to contamination fears. Questions for our readers: Do you think the pictures on this story show a 'normal explosion' or something much more, possibly nuclear? If this was somehow done by our own government we have to ask, has WW3 already begun and they 'simply forgot' to tell us? More of the horrifying photographs below can be found at China Digital Times. The President of France has come up with a very creative way of solving the European DEBT CRISIS! On Sunday, a piece authored by French President Francois Hollande suggested that the ultimate solution to the problems currently plaguing Europe would be for every member of the eurozone to transfer all of their sovereignty to a newly created federal government. In other words, it would essentially be a “United States of Europe”. This federal government would have a prime minister, a parliament, a federal budget and a federal treasury. Presumably, the current national governments in Europe would continue to function much like state governments in the U.S. do. In the end, there may be some benefits to such a union – particularly for the weaker members of the eurozone. But at what cost would those benefits come? When that time arrives, the key will be to get Germany and France to agree on what a “United States of Europe” should look like. If Germany and France can agree, it is inevitable that most of the other members of the eurozone would ultimately fall in line. If you have been following the news over the past few weeks, and especially this past week concerning events in Greece, it is now so blatantly obvious as to who controls the nations of the western world. The prime minister of Greece, Alexis Tsipras, who only last Sunday, July 5th, led his country in a no referendum against further bailouts and imposed austerity measures has done a complete u-turn in less than one week and has accepted the terms given to Greece by the European Central Bank and the International Monetary Fund, and the BIS amongst others. The people of Greece last Sunday voted by a 61% no to the conditions of another bail out to a 39% yes. 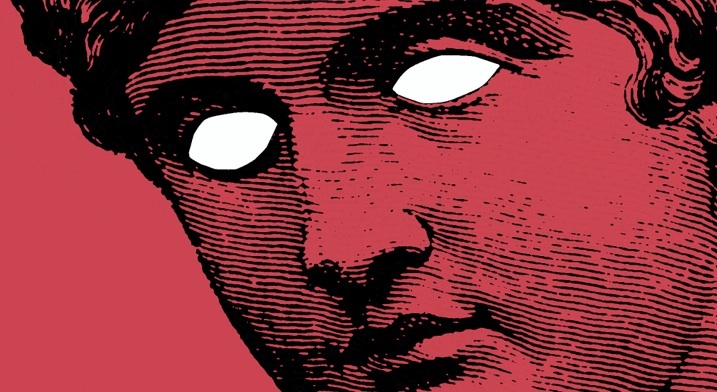 So, did the people of Greece, who invented democracy, rule the day? Not as of today. What happened with Alexis Tsipras? Was he a plant by the EU who would follow the party line when the crunch came, were he or his family threatened, was he bought out? We don't know but something drastically changed his mind in less than one week. Who is calling the shots and making the decisions here? It could not be more glaringly apparent. If ever there was any doubt it is the big banking institutions. The only act of violence ever recorded concerning Jesus in the Gospels is when he whipped the money changers out of the temple. The international bankers of his day. “And the Jews' passover was at hand, and Jesus went up to Jerusalem. And found in the temple those that sold oxen and sheep and doves, and the changers of money sitting: and when he had made a scourge of small cords, he drove them all out of the temple, and the sheep, and the oxen; and poured out the changers' money, and overthrew the tables; and said unto them that sold doves, take these things hence; make not my Father's house an house of merchandise. Jesus exposed them for exactly what they were, thieves. You may wonder why Greece doesn't just look for help in other areas, like Russia? Well NATO, of which Greece is a member, I believe, is never going to allow Greece to fall into the Russian sphere of influence. Look at what happened in the Ukraine when the former president, Viktor Yanukovych, tried to forge closer economic cooperation with Russia rather than the European Union. And the Ukraine was not even a member of NATO. If you have not kept up with this story the articles below concerning Greece, will hopefully help you to understand the situation more fully. This has been quite a week with the Chinese stock market crashing, NYSE, WSJ, and United Airlines all shutting down because of “computer” glitches, just to name a few. Things seem to be really intensifying and speeding up. "What we are seeing today here in Europe regarding monetary policy and the euro is a farce, Eric. 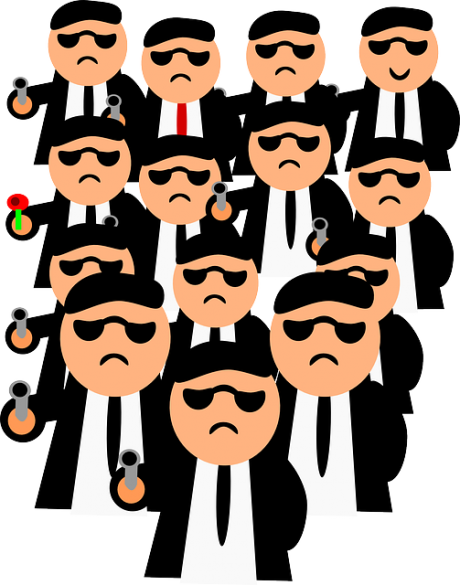 Unfortunately, there is nothing funny about the consequences…. European politicians continue to throw caution to the wind and have now offered Greece another opportunity to be bailed out. I am reminded of a blunt broadside that Milton Friedman once fired against politicians: "One of the great mistakes is to judge policies and programs by their intentions rather than their results." Rather than looking at the results of their past decisions, European politicians are foolhardily rushing in prepared to throw good money after bad, rather than face facts and the hard decisions that are needed. The first two Greek bailouts were clear failures. Nothing has been fixed. So why would any reasonable person expect that a third bailout is going to be any different, particularly given that Greece's debt mountain has soared making its problems even worse? The €110 billion Greek problem European politicians tried to solve in May 2010 is now a €320 billion problem. What's worse is where those debts now rest. The €110 billion was owed to banks that stupidly loaned the money to Greece. The banks and other private lenders were let off the hook in that first Greek first bailout and made taxpayers responsible for bad decisions by bankers. The €320 billion is now owed to taxpayers, and not just those in Europe. European taxpayers are responsible for the money loaned to Greece by the EU and the ECB, but taxpayers of countries that belong to the IMF are responsible for the money it loaned to Greece. Now for the umpteenth time Europe has offered to Greece yet another deadline for a take-it-or-leave-it bailout proposal that would put even more debt on Greece's shoulders. This third bailout has been sweetened by making it even bigger than proposed just a couple of weeks ago. The current total is now reported to be €80 billion, of which €25 billion will be recorded as new shareholder capital put into Greek banks. The rub is that this proposed bailout money is not really capital in the true sense of that word. It is not accumulated savings. Rather, it is €80 billion of new money printing. The EU, ECB and IMF combined do not have this much money in their bank account and ready to spend on bailing out Greece. They need the ECB to create out of thin air all of these euros the politicians want to lend to Greece. 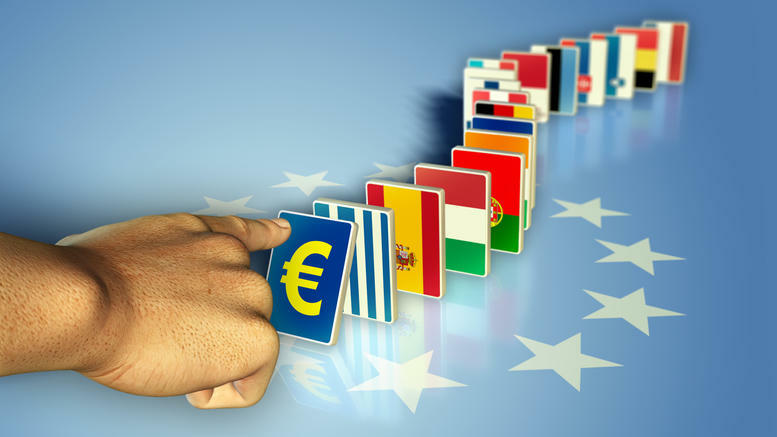 This money printing will further damage the euro. And sadly, it won't help Greece either because, as the saying goes, it is just kicking the can down the road. The fundamental problem is that Greece's debt load is already overwhelming that country's ability to service its debts. Adding more debt is just making Greece's problem worse when the day of reckoning finally arrives. Yet, that is what their prime minister, Alexis Tsipras, has just done. After months of taking a hard-line approach asking for debt relief to reduce Greece's debt mountain, Mr Tsipras totally caved in to EU demands. In fact, with this capitulation he is now agreeing to terms even harsher than what he had turned down before. What's more, the Greek referendum rejecting the previous European bailout proposal means nothing. Mr Tsipras apparently cares little for the 61% of the people who voted no in the referendum. It's just like the 80% of Americans who polls said were against US Treasury Secretary Paulson and his bazooka to bail out US banks in 2008. The will of the people means little these days. The result of this, Eric, is that the Greek people remain in debtors' prison, with little hope for release from their confinement, let alone parole. It means that every Greek citizen is responsible for €31,000 of government debt, soon to be €38,000 if the new bailout is imposed, when average income in that country is only €22,000 per person. But there is still another twist to this latest bailout proposal. It is just that — namely, a proposal. It first has to be agreed by the Greek Parliament by Wednesday evening. So as the Greek banks remain shuttered for the third week, keeping the Greek economy in a standstill, there are still more acts to come in this Greek tragedy. Marc Faber, publisher of the Gloom, Boom & Doom report joined Bloomberg Business to discuss the latest fall-out from the Greek referendum vote and the chances of the much-talked about "Grexit." Faber asserts that barring a last minute deal with between Greece and the EU, there is a very "high likelihood" that the Greece "contagion" will spread, specifically mentioning Italy, Portugal and Spain, which saw an instant weakening in credits following the Greece No vote. Faber also highlights the point that the EU continued to pump money into Greece, mostly to bail-out their own backs and then he tells people to "wake up" because "Greece will come to your neighborhoods, very soon." The protracted economic crisis in the EU has acquired a political dimension, threatening to destroy the union, Henrik Müller wrote in Der Spiegel, placing the blame for the sorry state of European affairs on the German government and Angela Merkel in particular. The Greek crisis might be making all the headlines, but it is not what threatens the survival of the European integration project. "The greater danger arises from the fatigue, exposed by the years of political imbalance – not only and the others, but across the EU," Müller noted, adding that the EU might be close to a point of no return. A succession of European summits in June has revealed the true state of the EU: it is a "hopelessly overburdened and divided" entity, according to the economist. 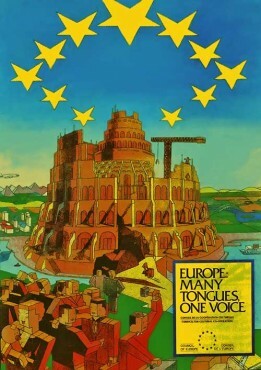 Indeed, the challenges Europe faces are monumental: from the unprecedented amount of refugees coming in endless and ever potent waves, Islamic radicalism wreaking havoc with its acts of terror, the early stages of an arms race with Russia, the protracted and seemingly unresolvable Greek crisis and a real danger of the UK leaving the union. What has Brussels offered to solve the burning issue gnawing on the EU? In one word: not enough. Müller described the bloc's decision making process as plagued by "helplessness, cowardice, selfishness." "There is a real threat of Europe collapsing and Germany, whom the Economist called the 'reluctant hegemon,' is letting it happen," the journalist pointed out. Merkel's strategy is two-fold, according to Müller. She stands for economic recovery through improved competitiveness of individual member states and the return of power to the Eurozone members. It could have seemed to be the path of the least political risk for the chancellor, but it created an impossible situation in the long run. As a result of the economic strategy, endorsed by Berlin, living conditions of Europeans have hardly improved. Enormous private and public debts are the key obstacle to growth. But unlike the US or the UK, the Eurozone has no mechanism to deal with this issue. It has not been developed not least since the German government was against.